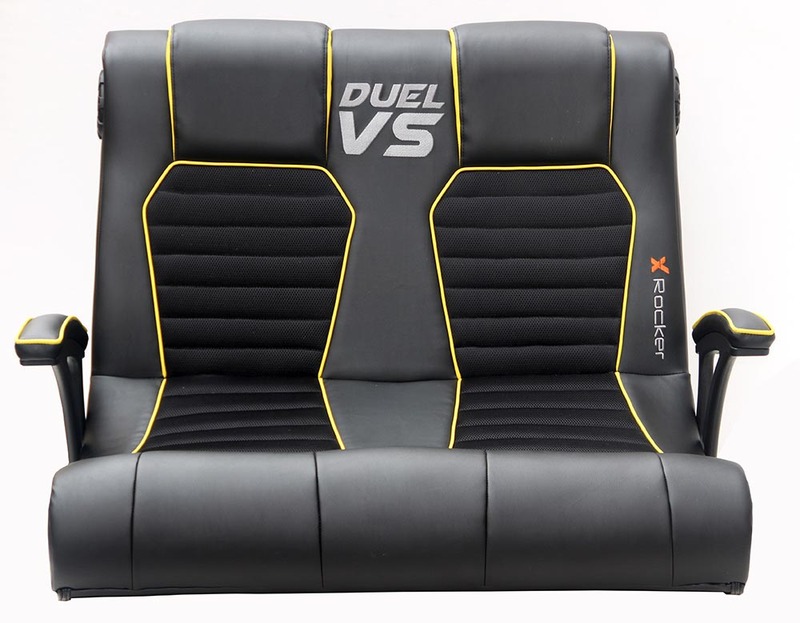 The Duel Vs is a double wide floor rocker that is perfectly sized for settling rivalries. A double wide floor rocking gaming chair, perfectly sized for settling rivalries. Other features include a 2.1 headrest mounted audio system with connectivity to any analogue audio source. *X Rocker gaming chairs are compatible with most gaming devices, by connecting to analogue audio outputs on your tv. Additional dac adapter (sold separately) may be required if these outputs are unavailable.